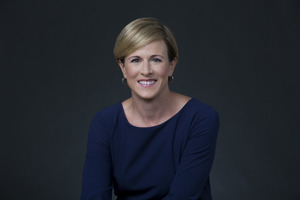 Wednesday, April 10, 12 – 1 p.m.
Join Drexel LeBow for an engaging in-depth discussion with Christine Dorfler, MBA ’09, Chief Financial Officer of the NBCUniversal Owned Television Stations, hosted by Drexel Women in Business. Christine Dorfler is the Chief Financial Officer of the NBCUniversal Owned Television Stations division of NBCUniversal. In this role, Dorfler is responsible for managing the financial operations of the company’s 40 NBC and Telemundo local television stations, a regional news network and their associated websites and digital platforms, as well as a group of out-of-home properties, a production company, an in-house marketing and promotions company and two national multicast networks, COZI TV and TeleXitos. Dorfler has worked at NBCUniversal for more than a decade. Prior to assuming her current role in August 2013, she was Chief Financial Officer of the NBC Owned Television Stations for nearly two years and Vice President of Finance for NBC 4 New York / WNBC and Telemundo New York / WNJU for three years. Before that, Dorfler was the Director of Finance for NBCUniversal’s Digital Media Group and also the Director of Programming Finance for the USA Network and SyFy Channel. She began her career with NBCUniversal as a Manager of Financial Planning and Analysis in NBCUniversal’s Corporate Finance Department. Dorfler joined NBCUniversal from General Electric, where she was a member of the Junior Officer Leadership Program with GE Energy in Schenectady, New York. She also graduated from GE’s Financial Management Program. A United States Army Veteran who served four years as a Military Intelligence Officer in Europe, Dorfler supported NATO operations in both Bosnia and Albania. She holds a B.A. in accounting from Villanova University and a M.B.A. from Drexel University in Philadelphia.